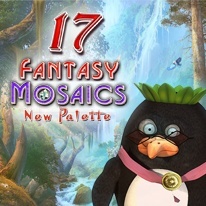 The penguin family are thrilled to discover a new palette of colors for mosaic puzzles! They are happy to meet a mysterious lady penguin on an alien planet who helps open their mind to a great variety of colors. to uncover the new gallery of pixel art images!